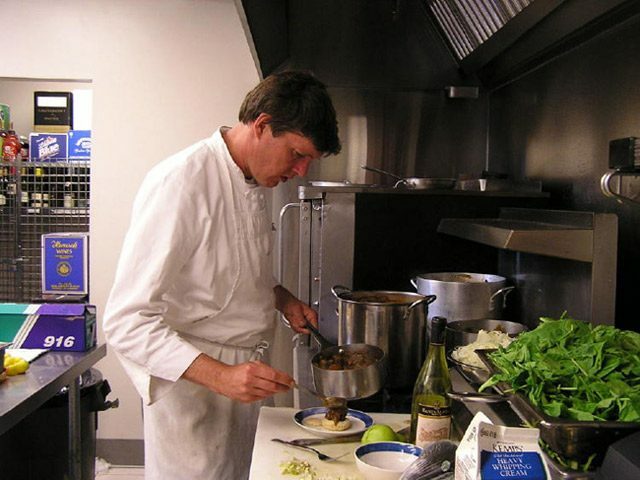 About a year ago, chef Kirk Bratrud and his family built a small restaurant near the harbor in Superior, Wisconsin. It’s called The Boathouse, and it features fresh-caught fish, local vegetables, and — Scottish Highland beef. Bratrud says his customers love Scottish Highland beef. He has to take it off the menu when he runs out. It’s hard to find, and the only way he can get it at all is because three farmers in the area raise it. One of them is Doug Anderson, owner of Beaver Creek Ranch. He says Highlands offer plenty of advantages to a farmer. The animals graze in pastures. They don’t need the antibiotics that are routinely fed to animals in feedlots. Anderson has nearly 50 Highlands. The herd is growing, but it takes time to raise cattle. About 20 steers are ready for market each year. When he started selling to The Boathouse in Superior, he realized there was a bigger market out there than he could supply. He’s recruiting his neighbors to help out. Three nearby farmers have bought brood cows and bulls. Anderson says when their animals are ready to butcher, he’ll put them in touch with The Boathouse and his other markets. Three miles away, another organic farm has a different specialty – aged cheese made from sheep milk. Mary and David Falk milk about 100 sheep, and make about four dozen cheeses a week. The aging cave is a concrete silo, built into a hillside. Inside, it’s dark and cool. 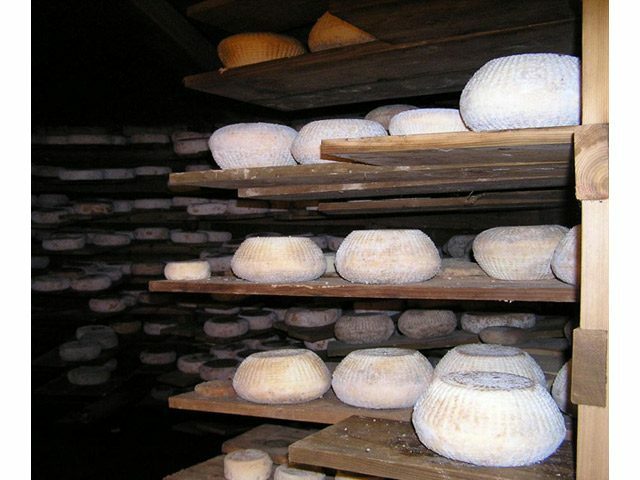 Nearly a thousand cheeses are resting on cedar planks. Mary Falk enjoys the different molds growing on the rinds of the cheese. The Falks used to sell their Love Tree cheeses to restaurants in New York and San Francisco. But after September 11th, the orders dropped off suddenly, and the Falks found new customers at a local farmer’s market. Now, they don’t have enough cheese to satisfy their local retail customers AND supply restaurants and cheese shops. To boost her production, Mary Falk tried buying sheep milk from other farmers, but it didn’t taste the same as milk from the flock on her Love Tree Farm. So she tried to recruit farmers to buy some of her sheep and sell her the milk. A couple of neighbors tried it, but quit after awhile. Her latest idea is what she calls the Love Tree Farm extended label program. Falk says it would give customers a chance to learn about new cheeses from a name they trust, and it would give new farmers access to an established market. It takes time and ingenuity to match producers and consumers. But more and more people want organic food. Farmers who’ve been successful are trying to recruit other farmers to join them in the organic producers movement… an effort that can be profitable and easier on the environment.